Check it out at Canoe & Kayak. Tao Berman has a deal for you: If you can beat him in the Lyons Outdoors Games’ extreme race June 12 he’ll pay you $500, bringing the first-place payday to $1,000. But Berman also struck a deal for himself: Oskar Blues Brewery stepped to the Microphone & told Tao they would match his offer of $500 & up the ante by providing a year of free beer to him if he can pull out the win. 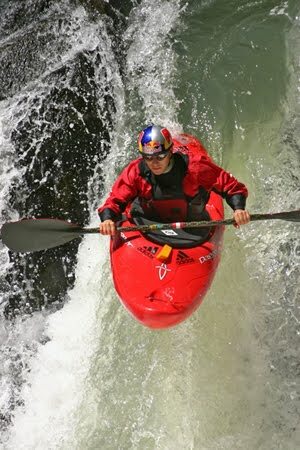 That’s the deal the 31-year-old extreme racer negotiated with Marty Cronin, the event’s organizer and vice president of sales for Jackson Kayak. “It all started because I know they have the best race course in the country, but their purse isn’t big enough to attract the country’s best talent,” Berman says. The race on South St. Vrain Creek began in 2007 when Andrew Holcombe won the inaugural event. But since 2008, no one has had faster lines than Berman.